Last month, director David Fincher’s latest film The Girl with the Dragon Tattoo (2011) was released on video. The film performed fairly well at the box office and was reasonably well-received by the critics. However, despite his big reputation as a director, Fincher has not yet been recognized as a member of our own VOH Hall of Visionaries. In light of the most recent addition to his filmography, should David Fincher now be considered a visionary filmmaker? 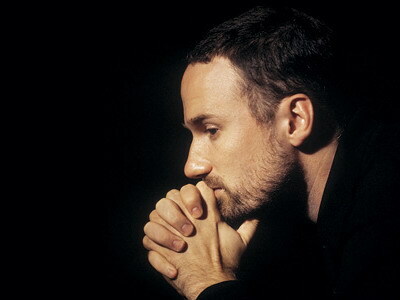 From his groundbreaking music videos and television commercials to his latest major motion pictures, David Fincher has consistently demonstrated complete command of his craft, meticulously mixing great art direction with superior sound design and stunning cinematography to create films that linger in the memory long after the credits roll. Where other directors might focus more on the delivery of dialogue, or on dazzling with images, Fincher confidently uses every available element to deliver the impact of his stories. It is this commitment to flooring the artistic throttle on every outing that takes him to visionary status in my book. I believe Fincher is a very talented director with strong storytelling abilities and outstanding technical abilities (Seven and Fight Club are two standouts), but when I compare his contributions to other Visionaries (ie, Hitchcock, Welles, Coppola), I believe his overall career has not demonstrated the same level of progressive vision. Maybe it’s ultimately a matter of personal passion and commitment. Compare Fincher with one of his current peers, Christopher Nolan, and you may see what I mean. Nolan has consistently pursued themes that seem deep-seeded and personal in almost obsessive way, while Fincher seems to be circling his themes in a less personal, maybe more corporate, manner. Again, this is not a knock on Fincher’s talent – he is one of the best actively working directors in the mainstream Hollywood system today. I believe I will eventually rank Fincher as a Visionary, but for today, I have backtracked in light of historical context. He is now In the Lobby for me. The word “Visionary” implies a remarkable status and it should be a challenge to achieve. David Fincher, like other famous Propaganda Films alumni such as Michael Bay, Spike Jonze, Gore Verbinski and Simon West, has made the successful transition from TV commercials and music videos into the world of big budget Hollywood films. Arguably one of the finest music video directors of all-time, his body of work includes landmark videos such as Paula Abdul’s “Straight Up”, which features strikingly Masonic black-and-white duality, Madonna’s “Express Yourself”, an obvious yet stylish homage to Fritz Lang’s Metropolis, and the award-winning video for Aerosmith’s “Janie’s Got a Gun”. Based on this body of work, there is no question that David Fincher owns the technical chops to direct highly stylish and atmospheric films. Many of his earlier films such as Alien 3, Seven (“What’s in the box?”), The Game and Fight Club evoke memories of Fincher’s darkly cynical music videos. However in recent years, Fincher’s films have deviated from that aesthetic considerably. Perhaps this is evidence of Fincher’s growing range and versatility as an artist. Or perhaps this is evidence that Fincher, unlike established visionaries such as Scorsese and Kubrick, is not an artist possessed by burning personal vision and is instead a highly skilled hired hand, available to execute another person’s agenda. For example, his acclaimed recent film The Social Network feels much more like an Aaron Sorkin film than a David Fincher film. And I definitely cannot label any of his films an all-time great film, although history may treat both The Social Network and Fight Club very kindly in the long-run. As long as questions regarding his personal vision remain, I cannot in good faith rate David Fincher at the visionary level. His most recent film The Girl with the Dragon Tattoo, a competent but unnecessary Hollywood remake of the superior Swedish original, did absolutely nothing to erase questions regarding his status as a visionary filmmaker. Until Fincher directs additional films that conclusively display original personal vision in the future, he will remain In the Lobby. It’s ironic (following HakSnider33’s “television visionary” hypothesis) that Fincher’s next project is… a return to television. According to IMDB, he is scheduled to direct and produce a remake of the successful British political drama, House of Cards. Ironic? Is it like 10,000 spoons when all you need is a knife?